The certified pre-owned 2018 INFINITI Q70L for sale in Chicago, IL sports a luxurious interior, futuristic technology, top-of-line safety features, & performance that cannot be replicated by our competitors. The sleek design of the Q70L takes the look of a high performance vehicle and combines the luxury of a spacious cabin to provide an experience that is nothing short of spectacular. The intelligence and versatility of the used 2018 Q70L can fit any type of lifestyle by using INFINITI exclusive features. Visit Berman INFINITI Chicago today or call us at 312-476-8000 to schedule your test drive of the 2018 INFINITI Q70L! The certified Q70L has a magnetic presence that captivates and excites all luxury car enthusiasts. INFINITI has extended the wheelbase 5.9 inches, allowing additional legroom without changing the dynamic appearance of the vehicle. Luxury has been infused into the rear cabin, featuring heated seats, a reading light, available rear window sunshade, and a 12v power outlet. 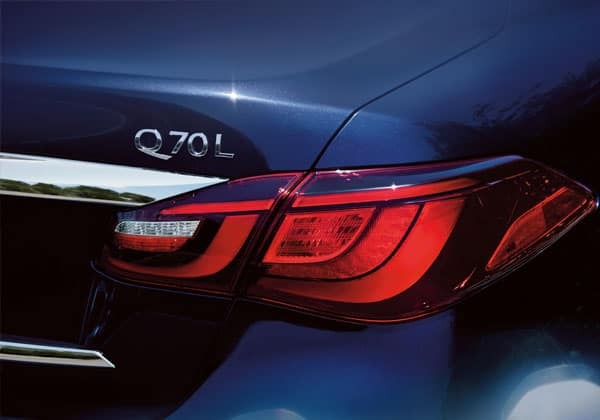 The certified Q70L has a magnetic presence that captivates and excites all luxury car enthusiasts. INFINITI has extended the wheelbase 5.9 inches, allowing additional legroom without changing the dynamic appearance of the vehicle. Luxury has been infused into the rear cabin, featuring heated seats, a reading light, available rear window sunshade, and a 12v power outlet. 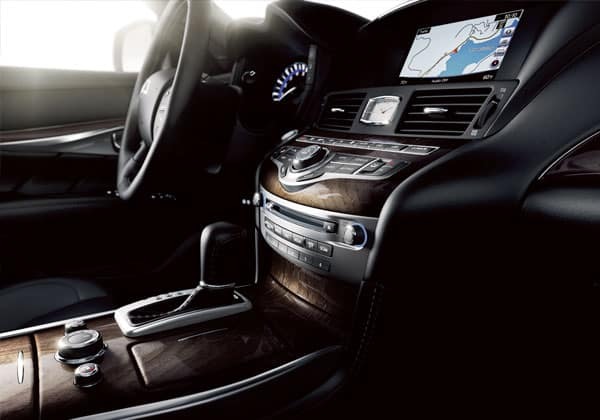 Available White Ash silver-powdered wood trim infuses the interior of the Q70L with a modern approach to timeless Japanese artistry to highlight the inner beauty of the INFINITI Q70L. The used 2018 INFINITI Q70L for sale in Chicago, ILfeatures a 3.7-liter V6 with Variable Valve and Lift (VVEL®) technology to to continuously tune valve lift and timing for quicker engine response and enhanced fuel economy. For the thrill-seekers, there’s an available 5.6-liter V8, which generates 416 horsepower and delivers acceleration in a smooth, rising, and seemingly endless swell. 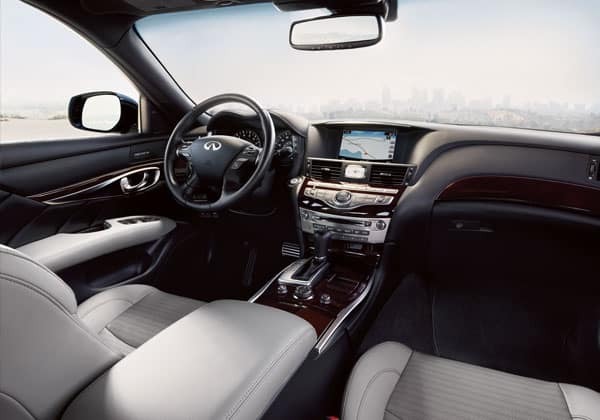 The pre-owned INFINITI Q70L delivers an invigorating experience that ignites the senses. Acceleration Swell transforms the delivery of power into the smooth continual rush of a peaking wave, while the FM platform provides a near equal front-to-rear balance, helping you move fluently through curves. The pre-driven 2018 Q70L offers INFINITI InTouch which keeps the driver connected at all times by confidently and conveniently providing a suite of remote applications and remote services. INFINITI InTouch is designed to keep you and your Q70L connected even when you’re not on the road. 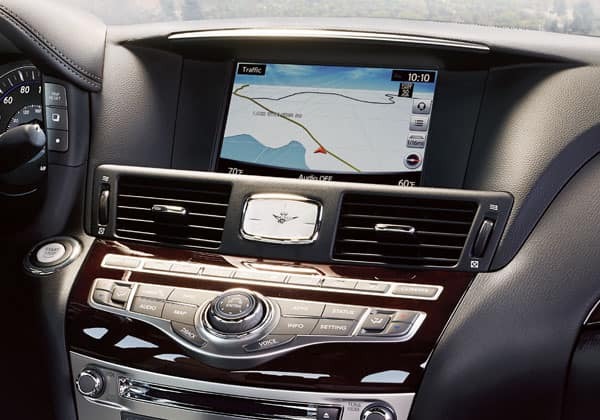 Also INFINITI provides you InTouch Navigation which has voice recognition so that you make adjustments to your route. InTouch Navigation gives you current traffic and weather from SiriusXM Traffic and SiriusXM Travel Link so that you can take the route that is most convenient and with less traffic. With Lane Guidance, the 2018 INFINITI Q70L shows you the lane to be in when you approach a exit or interchange. The used Q70L has latest and most up-to-date safety features that is designed specifically by INFINITI. The Drive Control Assist is an industry-first system that intuitively assists the driver to release the throttle and apply the brakes during traffic conditions that require frequent braking. INFINITI provides the world’s first Backup Collision Prevention, which alerts the driver to oncoming vehicles and large objects detected while in reverse. If the driver continues to reverse while a vehicle or object is detected, the Backup Collision Prevention system will engage the brakes automatically. The pre-driven 2018 Q70L offers INFINITI InTouch which keeps the driver connected at all times by confidently and conveniently providing a suite of remote applications and remote services. INFINITI InTouch is designed to keep you and your Q70L connected even when you’re not on the road. Also INFINITI provides you InTouch Navigation which has voice recognition so that you make adjustments to your route. The used Q70L has latest and most up-to-date safety features that is designed specifically by INFINITI. The Drive Control Assist is an industry-first system that intuitively assists the driver to release the throttle and apply the brakes during traffic conditions that require frequent braking. INFINITI provides the world’s first Backup Collision Prevention, which alerts the driver to oncoming vehicles and large objects detected while in reverse. 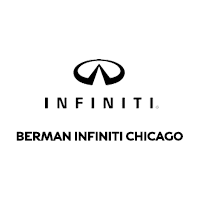 You can visit Berman INFINITI Chicago at 640 N. LaSalle Dr in Chicago, IL to see the 2018 INFINITI Q70L. You can contact us to schedule an appointment, or get directions below!